Rebelscum.com: MeUndies Puts Your Love For Star Wars Back In Your Pants! 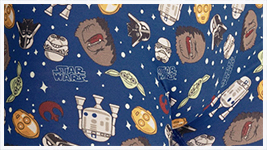 MeUndies Puts Your Love For Star Wars Back In Your Pants! Star Wars collectors looking to celebrate A Galaxy Far, Far Away without everybody knowing should check out the new line of underwear MeUndies has just revealed. Follow this link to have your first look at the coolest undies you're going to wear since you were little!